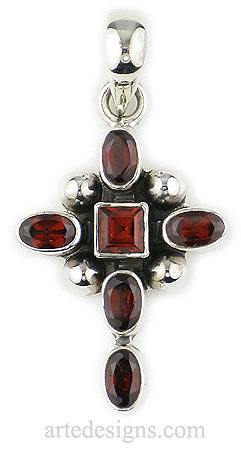 Rich red garnet gemstones come together to create this classic cross gemstone pendant. Garnets stand for true friendship. They also keep travelers safe, promote long lasting love, and prevent depression. Approximately 1.25 inches high. Sterling silver setting.